Are you in need of a venue for your next event? 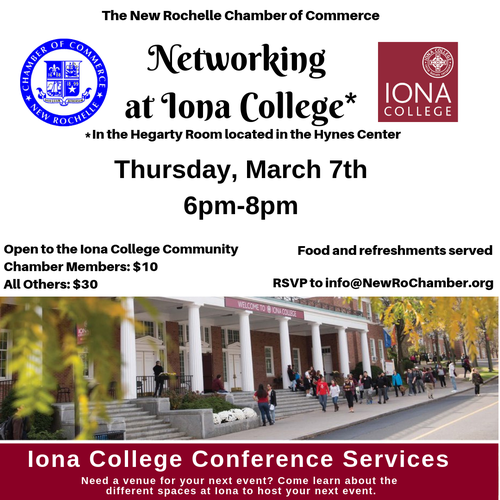 Come learn about the different spaces and options at Iona to host your next event with the Office of Conference Services. In the Hagerty Room in the Hynes Athletic Center.